The Young Alumni Advisory Board is a group of Loras College alumni leaders from various regions in the United States who graduated within the past 10 years. The Young Alumni Advisory Board members advise the Alumni Office on young alumni interests and perspectives, share ways that young alumni would like to be engaged, advocate for young alumni needs, serve as a bridge between the Alumni Office and other alumni, take initiative in planning and attending alumni events, and ultimately help foster and sustain the active involvement of young alumni in the support of Loras College through recruitment, development and engagement. Established in the fall of 2010. How often does the Young Alumni Advisory Board meet? The Young Alumni Advisory Board will meet once a quarter via conference calls with one on campus meeting during Homecoming. How do I become a Young Alumni Advisory Board member? Please complete an application form online by clicking here. What are the responsibilities of a Young Alumni Advisory Board member? How does the Alumni Office collaborate with the Young Alumni Advisory Board? 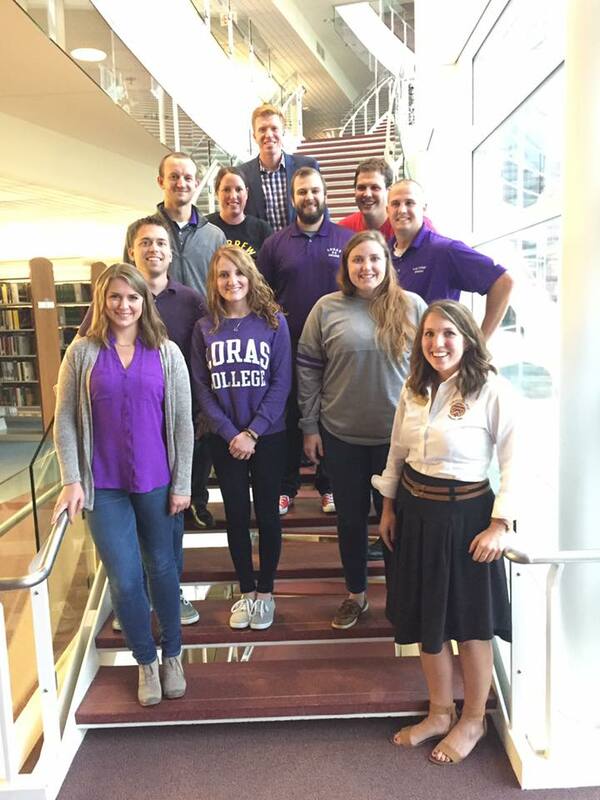 The Loras College Alumni Office is here to help in planning, organizing, and communicating events, but it is necessary to have a core group of strong young alumni leaders to take the initiative and plan/organize events. The Alumni Office will send you Loras spirit gear to decorate tables and the door prize sign-up slips, etc. Please let the Alumni Office know if you're planning an event at least 1-2 months before the event. Don't Wait! Get Involved! Go Duhawks!